This 34mm. automatic winding caliber 565 OMEGA automatic winding movement was just cleaned and is accurate. 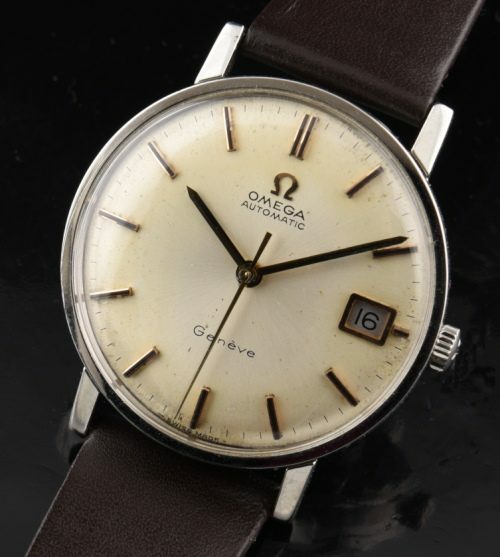 This OMEGA AUTOMATIC watch dates to 1970 with the case looking very clean and scratch less. The crystal is signed and correct OMEGA hesalite, plus the crown is original OMEGA. This dial is original with some subtle aging that looks MUCH less noticeable in person, and more of a uniform and appealing patina when you see it on your wrist. 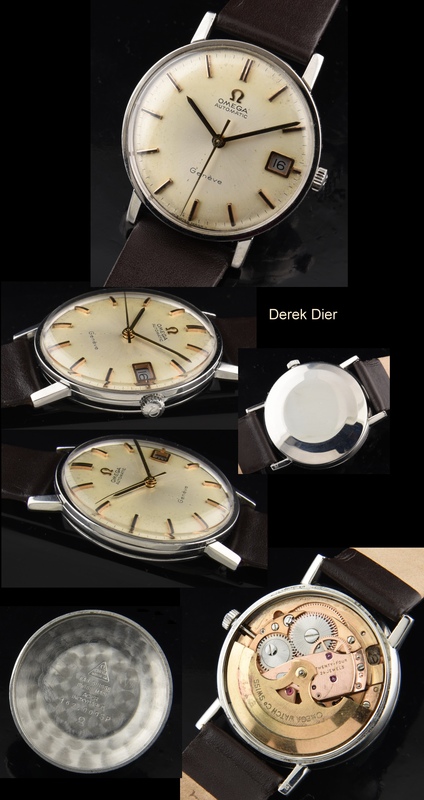 We purchased this watch from the original owner here in London, Ontario, who indicated that he barely wore the watch over the years-keeping it in a drawer. This fine OMEGA can be worn daily for a lifetime!